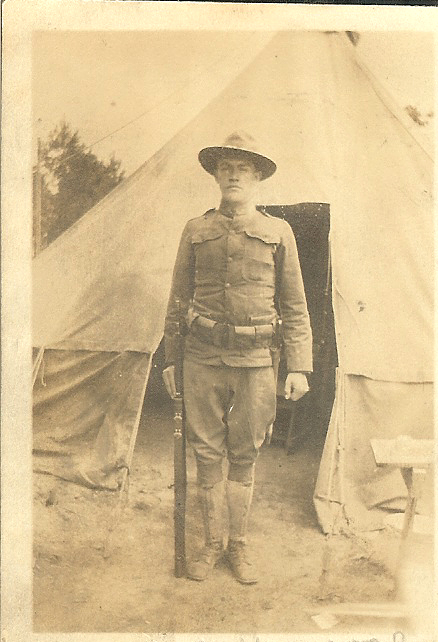 Private Ralph Donmoyer while training at Camp Hancock, Augusta, Georgia. 1917. Memorial day is here, in the U.S. The day saw its start as “Decoration Day,” in 1868. On that first Memorial Day, flowers were placed on the graves of Union and Confederate soldiers who had fallen during the United States Civil War. Since then, the day commemorates the generations of military members who have sacrificed their lives in service. In this post, I am not going to get into the politics of armed conflict. 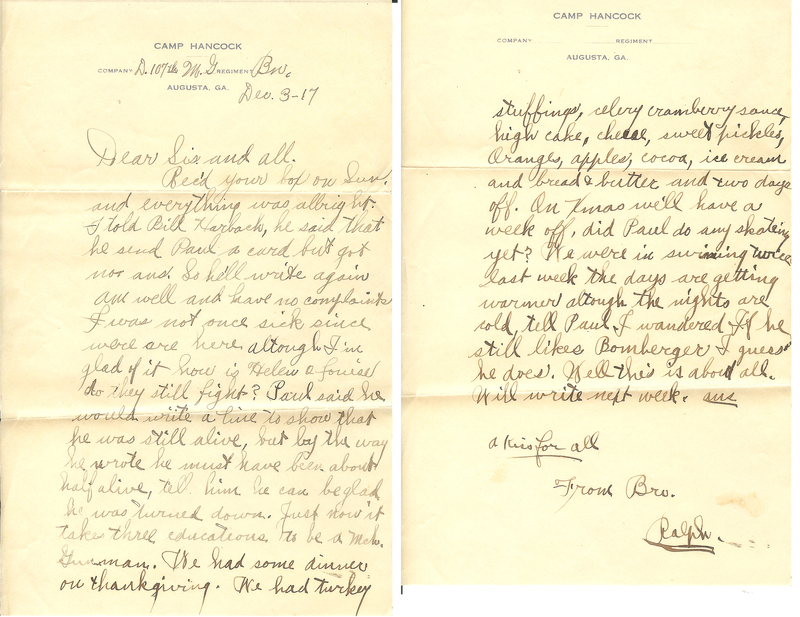 I am writing about members of my family who served with honor and pride. Fortunately, none of these people lost their lives during war. They did know the longing and homesickness that accompanies service in the armed forces. I am proud to have a brother who served in the Air Force and a young friend who served in the Navy. However, I will focus, particularly, on the service of my great-grandmother’s younger brother, who served during World War I. During recent genealogy searches, I discovered that several of my ancestors served during the U.S. Revolutionary War and the Civil War. I am excited to learn about their service and hope to find more information. Since childhood, I have loved studying history and genealogy and spent many hours listening to the stories of older members of my extended family. 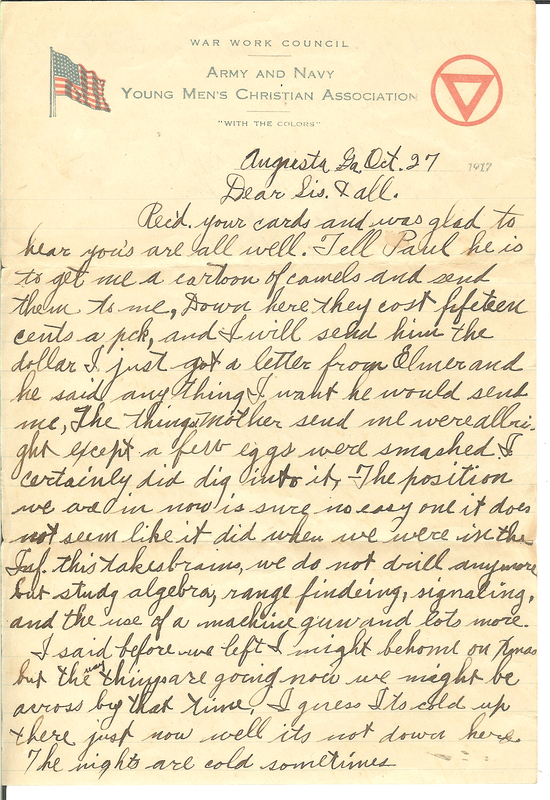 My maternal great-grandmother was a great source of family information and lore. From her, I received quite a few pictures and letters. She had two sons and several sons-in-law who served in the armed forces as well as her daughters, who were active in organizing USO dances and shows for soldiers and sailors during World War II. 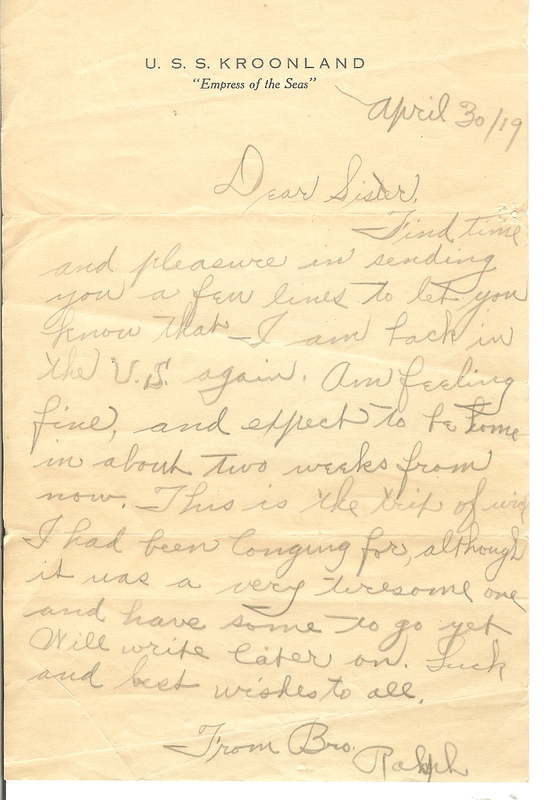 She also had kept many letters that her younger brother had written to her during World War I. 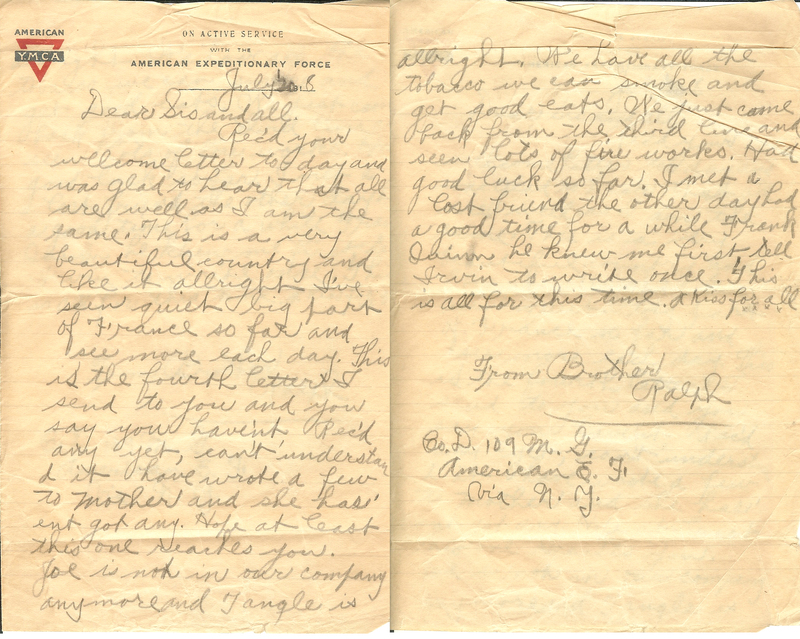 These letters from my great-grandmother’s brother often are filled with requests for letters from home. 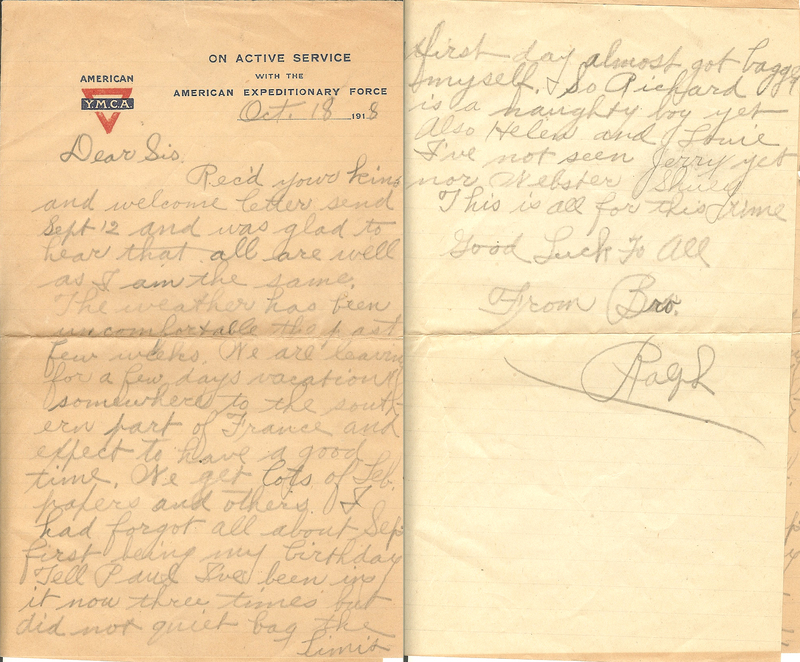 He asks about friends and family and usually ends his letters asking after his young niece and nephew as well as a request that she write back. From here, I’m going to let a few of his letters speak for themselves. Find time and pleasure in sending you a few lines to let you know that I am back in the U.S. again. Am feeling fine, and expect to be home in about two weeks from now. This is the trip of which I had been longing for, although it was a very tiresome one and have some to go yet. Will write later on. Luck and best wishes to all.